It's the middle of summer and full competition mode is on all over the country. You've done your runs, practiced your swims and climbed on your bike regularly. You've got the gear, tried out your transition skills and surveyed the course. You are ready. 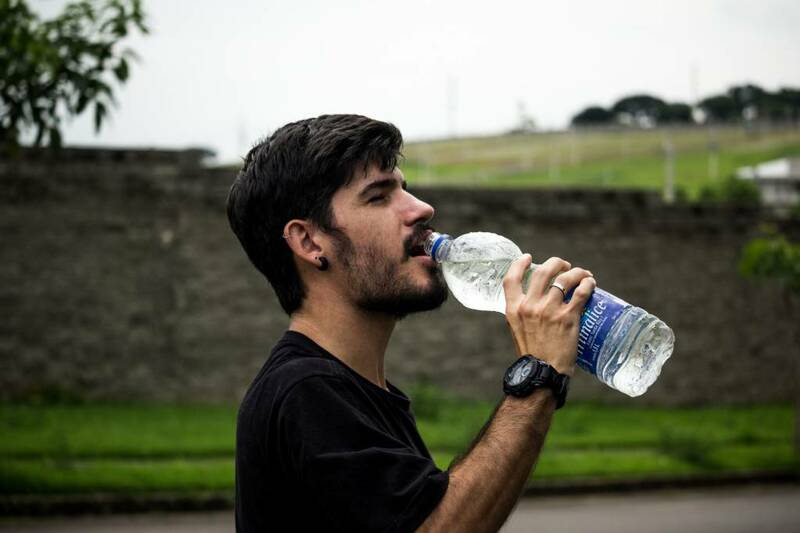 While 75% of all Americans don't drink the recommended amount of water daily and may face some form of chronic dehydration, the situation is critical for triathlon competitors who sometimes fail to hydrate before and during a race due to stress or lack of knowledge. The consequenting symptoms of this may be dangerous and debilitating, ranging from headaches and muscle cramps to vomiting, heat exhaustion, heat stroke and loss of consciousness. Steady hydration throughout the day in the form of eight 8-ounce glasses of water is the standard recommendation from health professionals. Adding fresh fruit - Seasonal fruit adds flavor, color and vitamins to your water, turning a plain glass into a pleasant beverage. Bring on the bubbly - Not the champagne-style bubbly, but club soda or mineral water. The bubbles also fill you up without adding sugar or chemicals to your diet. Increase water-dense snacks, fruits and vegetable intake - Watermelon, grapes, citrus, gelatin desserts and non-cream based soups and broths add fluids with nutrition with a minimal fat and calorie impact. The smoothie: food and drink on the go - Combine water, ice, fruit, vegetables and protein powder in a blender and take it to work as a mid-morning hydration snack. Liquid and powder flavor infusions - The advantage of these plastic packs is they need no refrigeration, come in a variety of flavors and it's your choice to use a little or a lot to flavor your water. Supermarkets offer a wide range of brands; your local organic health food store offers varieties without the artificial colors and flavors. Competition day: freeze what you need; bring your own - Don't depend on the race organizers to provide the fluids you need and like. Freeze your favorite sports drink in ice cube trays, pack the cubes in plastic bags and the bags into a cooler. At the race site, you have plenty of the beverage you prefer. Pack your bike and run bottles with frozen cubes; by the time you transition from swim to bike and bike to run, those cubes convert to cold liquid. Beware the lure of caffeine and alcohol - You love coffee, tea and beer at the local bar, and think, "Why not? I'm training hard, these are liquids too, so they hydrate, right?" But caffeine and alcohol's diuretic effects draw water out of your system, countering the positive fluid intake.